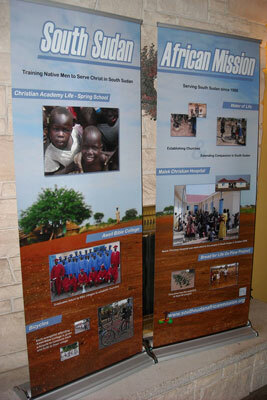 Signs and Banners - We design, we produce. Indoors or outdoors, standard or backlit, big or small. We create banners for all types of companies and organizations. Customers include Nike®, Doctor's Offices, Restaurants, and more. Glass look acrylic, 6ft wide sign with stand-off posts. New logo. 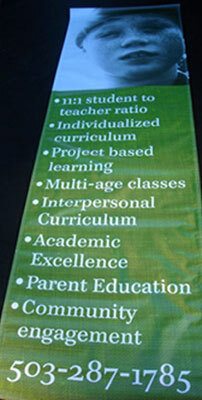 Custom designed banners are one of the most visible and least expensive forms of advertising. 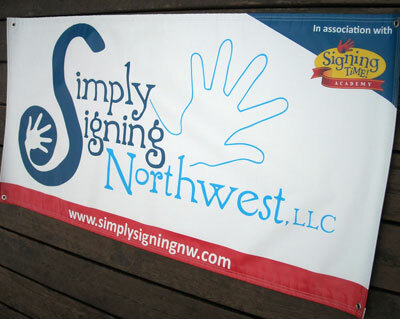 We work with you to design a banner that maximizes the return on your investment and builds upon your brand image. 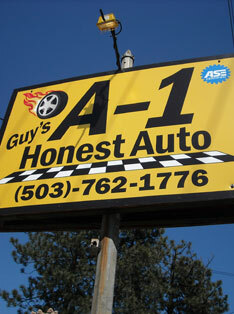 Our prices and quality are second to none in the Portland, Oregon area. Ten foot full color banners starting at only $75, with a 2 year warranty! 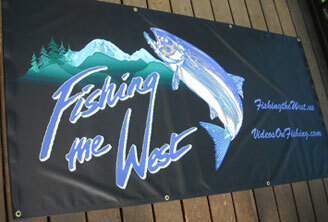 Our standard banner vinyl is 13 oz. Scrim Vinyl with nylon fiber reinforcement. We also offer extra heavyweight vinyl, mesh vinyl, and ultra-smooth vinyl options. Double stitched or welded hem, with or without reinforced corners, and choice of grommets, or pole pockets. Specialty banners, such as the popular feather banners (also known as sail banners) are available complete with flex pole and choice of ground spike or stand. 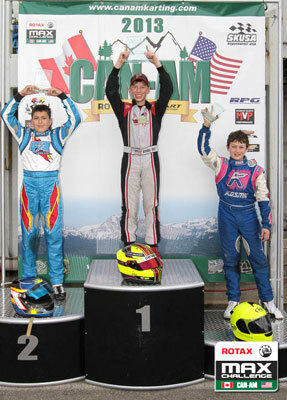 We also offer vertical stand-up banners with spider stand or retractable base. 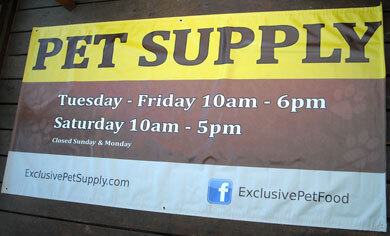 Affordable - Imagine a 10 foot wide full color banner for only $75... no need to imagine, we can make it a reality. 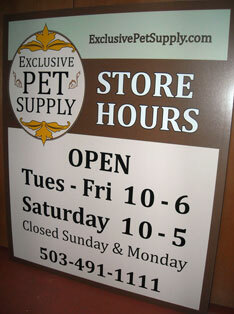 Or a laminated full color DiBond Aluminum 4x8 sign for less than $500. 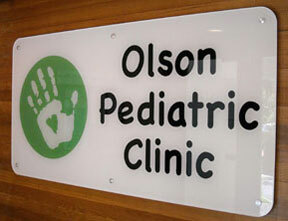 Artwork - Professional design from small indoor signs to full size billboards. Note, artwork charges are in addition to banner or sign pricing. We design, print, and install. 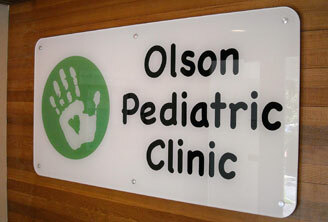 Signs come in so many shapes, sizes & styles we ask that you call for pricing and details. Reflective or standard, comes with rounded corners and gloss finish. Two feet wide, any height. Custom widths also available.